Are you seeing those thin white flakes on your shirt, feeling itchy all the time on your scalp, you are suffering from dandruff? It is caused either due to a medical condition or an unhealthy habit like you are sharing the same comb with someone who already has dandruff. There are various remedies available in medical shops, but nothing treats it’s complete like your kitchen resources do. Yes, you can pick things from your very own kitchen to help you get rid of dandruff completely. It is a fungal growth on the scalp which can be treated with all the things that are not harmful to your hairs and have antifungal properties. Being anti-fungal in nature, this oil helps in getting rid of the dandruff-causing fungus. Just mix 3-4 drops of oregano oil with your shampoo while you wash your hairs daily. Repeat until you completely get rid of dandruff from your scalp. Oregano Oil is a natural plant extract that helps kills bacteria naturally due to its antimicrobial properties. Just mix 4-5 drops of rosemary oil with a tablespoon of olive oil and sprinkle it over a hot towel. Now place this hot towel on your head until it cools down. Repeat this every day until you totally get rid of dandruff from your scalp. Rosemary Oil boosts the health of your hairs and stimulates its growth which is one of the side effects of dandruff. It forms a part of many modern-day shampoos and hair oils. 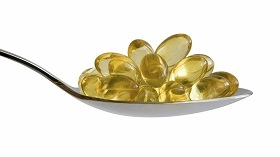 Fish oil has anti-inflammatory properties which help fight the fungus causing dandruff. Take fish oil supplements daily twice to heal dandruff completely. Antifungal effect of lavender oil helps treat your scalp from dandruff. Mix few drops of lavender oil with olive oil to treat your scalp daily before taking a bath until you get completely rid of dandruff. 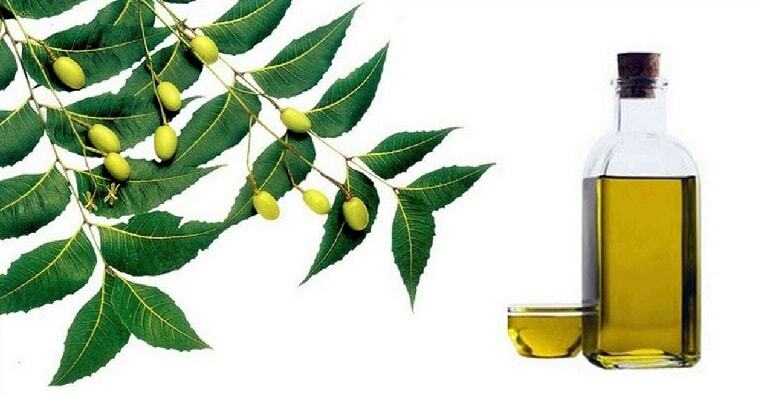 Mix few drops of neem oil to a tablespoon of olive oil and rub it on your scalp daily before taking a bath. Neem have an antimicrobial compound called nimonol that helps in treating dandruff. Repeat the steps until you have completely managed the scalp. Neem is the best gift of nature to humanity. It has proven health and beauty benefits. It forms part of many modern days cosmetic items. It has an antibacterial property which makes your skin dandruff free when used regularly; it moisturizes your scalp. It has antioxidants, carotenoids which defend the skin against free radicals which promote aging of your skin. It also reinstates the pH balance of your scalp which cures dandruff. Add 2-3 drops of jojoba oil in a tablespoon of olive oil and rub it over your scalp. Leave it for 15 minutes and wash your hairs. Vitamin E in jojoba oil helps regain the hydration of your scalp and fight dry dusky dandruff. It is a liquid wax extract of an American shrub which grows in the wild. Jojoba Oil helps effectively treat the irritation caused by dandruff by reinstating the moisture of your scalp. Jojoba oil is rich in minerals like zinc and selenium which helps cure dandruff and reduces it regrowth. It has anti-fungal properties which fight the fungus causing dandruff. It also promotes healthy and lustrous hair growth. It is known to relieve your scalp from a disease like psoriasis. Warm up a bit of castor oil and massage it over your scalp. The microbial components of castor oil help fight fungus that is causing dandruff. It keeps both your hair and scalp moisturized. Repeat it every night until you have treated your dandruff completely. Castor Oil is your one stop treatment for all hair related problems like dandruff, hair loss and split ends. It has an anti-inflammatory and anti-bacterial property which treat fungus causing dandruff. Rich in proteins and minerals and vitamin E, it works magic on your hair and scalp. It has ricinoleic acid and omega six essential fatty acids which promote blood circulations through your scalp thus making it more health which is reflected in your increased hair growth and shine. Baby oil does not contain fat that is consumed by dandruff causing fungus and help in controlling dandruff. Just massage it into your scalp every night and wash it off with mild shampoo in the morning until the dandruff is completely treated. Rub egg oil on your head and leave it overnight. Wash it off in the morning with a mild shampoo. Do it every other night until you get rid of dandruff. Egg oil contains cholesterol that helps in getting rid of dandruff. Rub your head with a bit warmed up olive oil in the night and cover your head with a cotton wrap. Wash it away in the morning with a mild shampoo. Olive oil results in moistening your scalp which helps in one avoiding your scalp to scale and two bits of help remove the already scaled skin to avoid flakes falling off lately. Widely used by all the stylists around the world, olive oil is the best dandruff treatment to protect your scalp from dryness and promote hair growth. When you massage warm olive oil over your head, it removes all the flaky skin and locks the moisture in your skin to make your hairs look more healthy and shiny. It is loaded with antioxidants, vitamin A and vitamin E, rich in monounsaturated fatty acids which help reinstate the health of your hairs when used consistently. You can massage it over your head on its own to have all the benefits, or you can mix some honey into it and apply it as a pack which makes it more efficient. Cedar Oil is said to have anti-inflammatory properties which are suitable to treat many scalp problems including dandruff. Just rub this oil on your scalp and leave it overnight. Wash it off in the morning. Repeat every alternate day until dandruff is treated thoroughly. Mix few drops of tea tree oil to your shampoo before applying it to your scalp. Anti-inflammatory properties of tea tree oil help treat your scalp from dandruff. Tea Tree Oil has antiseptic properties which penetrate the outer layers of the scalp and disinfect it deeply. Coconut oil moisturizes your scalp. It has antifungal properties which treat dandruff. It suppresses the growth of dandruff causing fungi. It also stimulates the hair growth and reinstates the health of your scalp and hairs. It can be used in isolation of as a mixture of other essential oils to treat different hairs related problems. Mix a tablespoon of powdered orange peel with some lemon juice and leave it on your scalp minutes. Wash it off with some mild shampoo. You can repeat it twice a week until dandruff is treated completely. Acidic property of orange helps treat dandruff. Mix a tablespoon of fuller’s earth with some lemon juice and apply it all over your scalp before taking a bath. Leave it for 30 minutes and wash it off. Fuller’s earth helps absorb excess oil and dirt which causes dandruff and helps regain pH balance of your scalp. 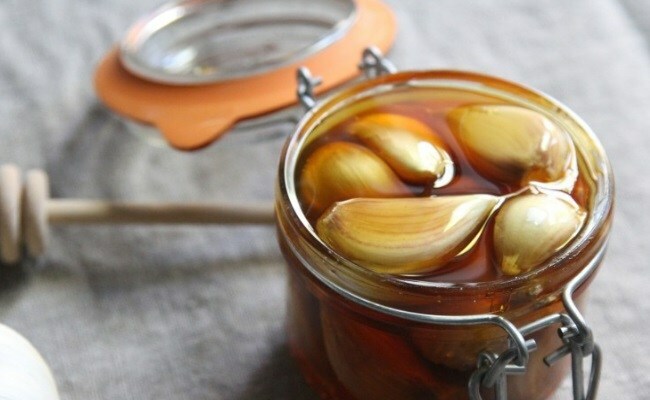 Crush few cloves of garlic and mix with a tablespoon of honey and apply it on your scalp. Leave it overnight and wash it off in the morning with a mild shampoo. Anti-fungal property of garlic helps treat dandruff. Mix yolks of an egg in a bowl and apply it on your scalp and let it dry. Once dry wash it off with a mild shampoo. Egg being an excellent source of biotin which in turn treats dandruff. Most of your anti dandruff shampoos claim to have this ingredient. Mix a tablespoon of lemon juice with three parts yogurts and apply it all over your scalp at night before sleep. Wash it off in the morning with a mild shampoo. 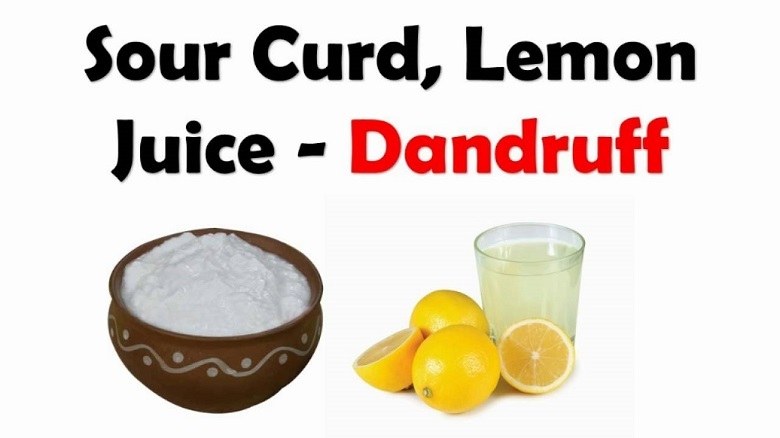 Antimicrobial nature of lemon helps treat dandruff. Mix henna, amla, tea, lemon juice and olive oil in equal parts and apply it over your scalp. Wash it after 30 minutes. Henna acts as a conditioner for your hairs which helps regain it moisture and certain acidic nutrients of henna help fight dandruff. Mix few basil leaves with a tablespoon of amla and turns it into a paste by adding some water to it. Apply this paste to your scalp and leave for around 30 minutes and rinse off with water. Antibacterial and antifungal properties of basil leave help to treat dandruff. Mix a tablespoon of coconut oil with equal parts of honey and olive oil and rub it on your scalp and massage for 10 minutes. Leave it overnight and wash your head in the morning. Coconut helps with reinstating the essential proteins on your scalp and eliminates dandruff. Honey have antimicrobial properties which again treats dandruff. Mix one egg with one cup of yogurt and apply on scalp and rinse it off with a mild shampoo after 30 minutes. This mixture helps getting rid of bacteria causing dandruff due to its antibacterial property. Add juice from one full medium sized lemon with two tablespoons of yogurt. Apply it all over your scalp and leave it for 30 minutes then rinse it off with mildly warm water. Lemon has acidic properties, and yogurt is antibacterial which helps getting rid of dandruff permanently. Add one tablespoon of gram flour with one tablespoon of yogurt. Apply this paste of your scalp and leave it for 30 minutes and rinse it off. It helps regain the moisture of your scalp and re-establishes its pH balance to eliminate dandruff. Mix one tablespoon of apple cider vinegar with half a cup of yogurt and apply it on your scalp. Wash it after 30 minutes. 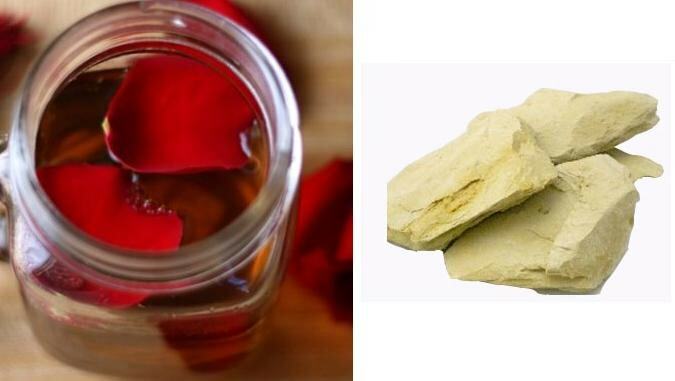 Both ingredients are acidic and antibacterial which helps remove dandruff and stops it from reoccurring. Add two parts of olive oil with one part of honey and massage it all over your scalp. Leave for 10 minutes and rinse it off with a mild shampoo. The combined anti-inflammatory of coconut and antiviral properties of honey treat dandruff on your scalp. It reduces the dryness and inflammation caused by dandruff. Rubbing Baking Soda exfoliates your scalp off dandruff grown on your scalp and prevents it from re-growing. Baking Soda, absorbs extra oil and dirt from your scalp, clear off sebum formation on the scalp as it’s a natural cleaning element. It also removes dead skin which causes dandruff flakes. It acts as an exfoliant. Alkaline nature of baking soda helps reinstate pH balance of your scalp and hence promote hair growth. You can use it an alternative to dry shampoo as well. Mix equal parts of apple cider vinegar with water and rinse it off your scalp in the morning while taking a bath. Leave it for 10 minutes and then wash it away. The acidity of apple cider vinegar changes the pH levels of your scalp and thus hampers the growth of yeast. Soak few fenugreek seeds in water overnight and rinse off this water through your hairs in the morning before taking a bath. Fenugreek seed has several nutrients which are said to treat dandruff. Rubbing salt on your head can help in getting rid of dandruff. Abrasive nature of salt makes it ideal exfoliant for your scalp to get rid of all those dead skins due to dandruff causing bacteria. Also, its acidic nature helps reduce regrowth of this fungus. For oily skin, you can use raw salt, and in case you have dry skin, you must use mixture oil and salt to rub over your scalp to get rid of dandruff. Add two parts of vinegar to one part of water and apply it on your scalp and rinse it off with water. Vinegar has anti-bacteria and anti-fungal properties which help you fight dandruff. The acid in Vinegar helps reduce itchiness and brings down flaking. Mix one part of lemon juice with five parts of coconut oil and apply on your scalp. Leave it overnight and wash it in the morning with a mild shampoo. Acidic nature of lemon helps regain pH balance of your scalp which is lost due to dandruff. Collect some fresh aloe-Vera gel from the plant and apply it all over your scalp to get rid of dandruff. The anti-bacterial and antifungal properties of aloe-Vera help fight dandruff. Aloe Vera consists of pectin which stimulates the cells growth and hence helps treat a common side effect of dandruff that is hair loss. It has anti-inflammatory properties which reduce the itchiness of your scalp. It also consists of a cleansing enzyme which helps get rid of dead skin grown over your head. Add two tablespoons of fresh apple juice with some water and apply it on your scalp. Apple promotes hair growth which is the biggest fallout of dandruff. Apple juice helps with dandruff and itchy scalp by reinstating the pH balance of your scalp and makes your hair shiny, silky and lustrous. Apple juice consists of malic acid which works as an exfoliant for your scalp and removes all ingrown fungus and dead skin from your scalp. Its acidic nature helps stop further growth of bacteria and fungus and keeps your scalp healthy. Mix a small part of Ginger (crush it or add its juice) to four parts of sesame oil and apply it all over your scalp. Anti-inflammatory properties of ginger help you fight against dandruff causing bacteria and prevents regrowth of it. Ginger is a natural antiseptic which treats dandruff-causing fungus. It consists of magnesium, potassium, amino acids, and calcium which nourishes your scalp and prevents it from getting dry thus reduces dandruff flakes. It also reduces inflammation on your scalp. It promotes proper circulation of blood through your scalp which makes it healthier and dandruff free. Leave two green tea packs into a cup of hot water for 10 minutes and remove the tea bags. Now use this solution to rub on your scalp to treat dandruff. Green tea has antifungal effects and antioxidants which revitalize the health of your scalp. Green tea being rich in vitamin C and Vitamin E helps stimulate hair growth. It exfoliates your scalp with already occurring dandruff. It also boosts shiny hairs. Yogurt has friendly bacteria which helps treat dandruff. Apply plain yogurt to washed hairs and leave for around good 10 minutes. Rinse it off with plain cold water and some shampoo. Repeat daily until dandruff is treated permanently. Yogurt is probiotic which means it has a living organism which can benefit health. Yogurt also helps reduce hair fall and hair loss when used regularly.